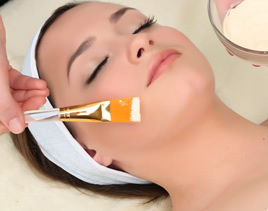 One of the largest benefits of a facial at the Broadway Centre Spa & Salon, is the opportunity to work with a professional skin care specialist. Our specialists will do a detailed consultation, analyze your skin, listen to your concerns and show you proper skin care techniques based on your needs and skin type. 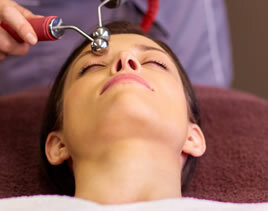 Getting a professional facial is very important for the overall health of your skin for both women and men. Designed on the three principles of prevention, correction, and protection. Our Signature Facial calms, soothes, and strengthens all skin types while conditioning to minimize fine lines and wrinkles. This facial includes a sensory journey and hand massage. 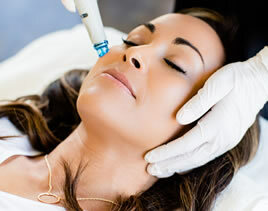 Hydrafacial is the gold standard in facials that is backed by science and documentation. If you are looking for a facial that has you walking out the door with immediate results, look no further. 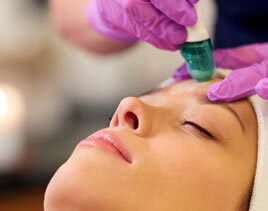 We are your Hydrafacial specialists! Aveda‘s naturally derived mechanical and biochemical exfoliation bonds into one powerful service that transforms the skin through the process of dual exfoliation. The results are improved skin texture, clarity and radiance, giving a smoothed appearance of fine lines, wrinkles and refined pores. Reveal to the world fresher and younger-looking skin. Enriched with 100% cocoa extract to release endorphins known as “molecules of pleasure.” This masque when applied to the skin, relaxes, purifies, and soothes the skin. 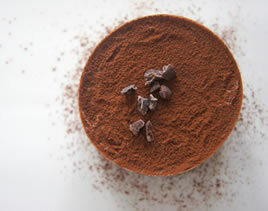 The rich blend of chocolate extracts decreases inflammatory reactions such as itching and redness. 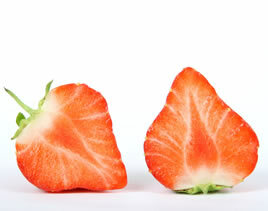 It is an excellent choice for skin with mild to severe Rosacea. This masque is extremely detoxifying and is perfect if you have dull, tired and acne skin. Includes Antioxidant Chocolate Serum. Perfect for mature, dry and sun damaged skin (sun spots) This aromatic wild strawberry masque has an uplifting natural scent; contains mild AHA’s to promote exfoliation of the dead cells. Due to the 100% natural ingredients, it hydrates and softens while brightening tired, dull complexions. If you have pigmented or Acne Skin, you’re going to love this masque! Recharge your skin’s youthful glow with a naturally invigoration 100% all organic masque. Application of the aromatic masque brightens and energizes the look of a dull, fatigued skin while restoring a healthy, rosy appearance. 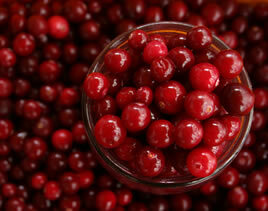 Cranberry contains a high level of antioxidants; therefore it is an excellent treatment for mature skin, pigmented skin, and those with acne. A combination of anti bacterial and exfoliating products to deep clean and extract blackheads, use of different modalities such as LED light, ampoules, and masques to obtain skin that is prone to breakouts or is cystic to help maintain healthy skin function and eliminate breakouts. 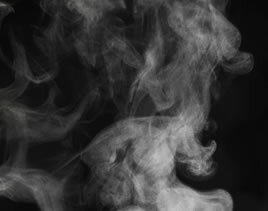 The Oxygenating Facial helps to stimulate respiration and circulation within the skin to promote healing, rejuvenate sluggish, tired skin due to toxins, pollutants, allergens, improper diet, solar damage, smoking, and aging. Acneic conditions benefit greatly. Includes a thorough consultation and skin analysis by our Experienced Skin Specialist to discuss and treat based on your concerns and needs and our recommendations. 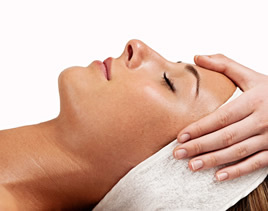 This treatment includes a customized cleanse, exfoliation, massage, and masque. 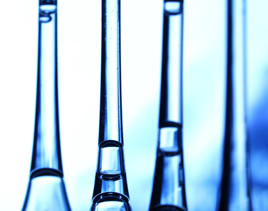 Stem Cell Ampoules and Anti-Aging Ampoules and derma planing can be added for an additional add-on fee. Treatment Time 1 1/2 hr. Have you noticed that celebrities hardly age? Movie stars that you watched 20 years ago even seem to get younger with time. What is their secret that they whisper to each other behind the scenes? 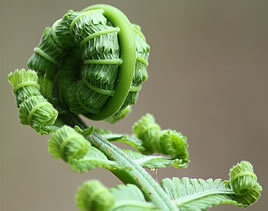 Plant stem cells! A great Retinal alternative, we take professional grade totipotent stem cells (young plant stem cells) and crack them open to get to the valuable natural compounds that are locked inside. This natural serum is powerfully beneficial to your skin, revitalizing and restores bright crystal-clear skin tone. 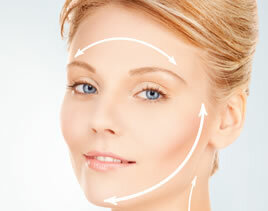 Regular treatments also appear to be a key to anti-aging skin care. Look and feel like the celebrity you are. 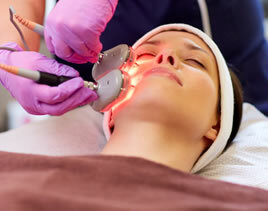 We offer a variety of peels with little or no downtime to address many skin conditions such as improving fine lines and wrinkles, skin brightening, and promoting an even skin tone. Ideal for Sensitive skin to reduce fine lines & wrinkles. Specially formulated to treat maturing skin. Ultra Peel® I is appropriate for many skin types, conditions, and sensitivities. 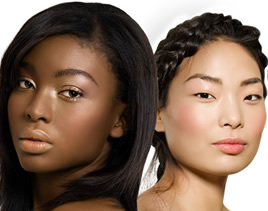 It will help improve the appearance of fine lines and wrinkles while promoting an even skin tone and clear complexion. Recommended for any Facial, Peel, Wrap, or Massage to open pores and relax your body. 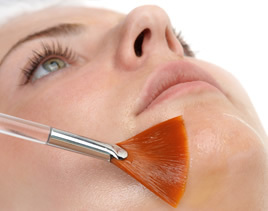 This is a stand-alone treatment to gently exfoliate the skin as well as remove “peach fuzz” around the face and neck. 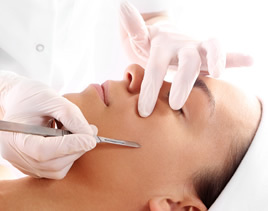 A noticeable improvement is immediate with a smoother texture and fresh skin appearance. Highly recommended to be added to any facial to enhance your treatment! This non-invasive skin resurfacing procedure gently exfoliates or polishes away the top layer of dead skin cells, while stimulating collagen growth. 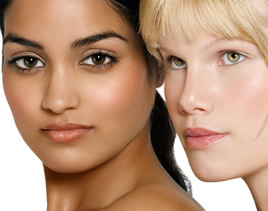 Fine lines, blemishes, dull skin and sun spots also can be improved, especially with regular treatments. Moisturizers, creams, and lotions are more easily absorbed and therefore are more effective, after a Microdermabrasion treatment. 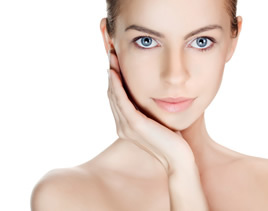 This procedure will greatly enhance your skin care routine. Includes a calming, anti-aging or anti-bacterial masque after to compliment treatment. Add on an ampoule to enhance your treatment: Instant Lift, Vitamin C, Retinol, Kojic-Acid, CoQ10, Marine DNA or Camphor. Excellent for skin that is Mature, Sun-Damaged, acneic/oily, pigmented or affected by Rosacea.